A very disturbing report reaching the newsroom of Biafra Writers from the commercial city of Aba in Abia State, details the despicable and horrifying wanton molestation and arrest of residents of the city, in search of IPOB civilians by operatives of the Nigeria Police Force under the tutelage and command of the Abia State Commissioner of Police, our correspondent revealed. The newly-appointed Abia State Commissioner of Police, Mr. Anthony Ogbizi, as was reliably gathered, this morning, dispatched his men to comb private houses of residents of Aba and arrest suspected IPOB civilians. 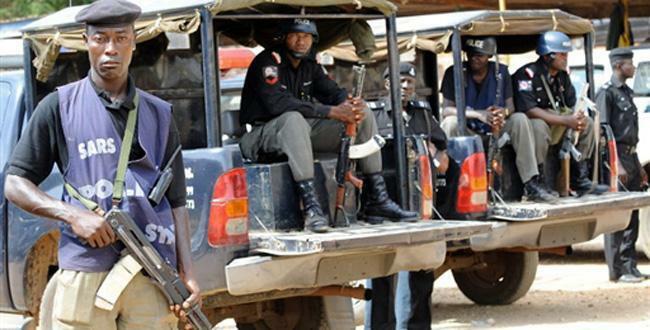 According to our correspondent, “the newly-appointed Abia State Commissioner of Police, sent his men to invade houses of people living in Aba and has arrested many people in the process. “The Police apparently in search of IPOB brethren, arrested many people including those who denied being part of IPOB. “The worst scenario is that they will arrest many people and throw them inside a cell that its capacity normally houses less than 5 people, leading to suffocation. It was noted that these unprovoked and illegal arrests is coming days after well-meaning individuals and some public officials has advised men of the Nigerian army to down their tools and withdraw from the State following the extrajudicial killings and tension its activities has generated. We are hereby putting the world and constituted authorities to notice, to caution and checkmate the illegal activities of the Abia State CP, before it degenerates to further crisis in the already troubled city. You mean the thief new police commissioner went terrorizing and arresting IPOB members in Aba, Abia State? This police new commissioner must be having a field day, going round the city, going into private homes and arresting IPOB members! Well the coward the coward thief thief police commissioner should be ready to go around the enter global world and arrest every IPOB family member. He should not only do the arrest in Aba!